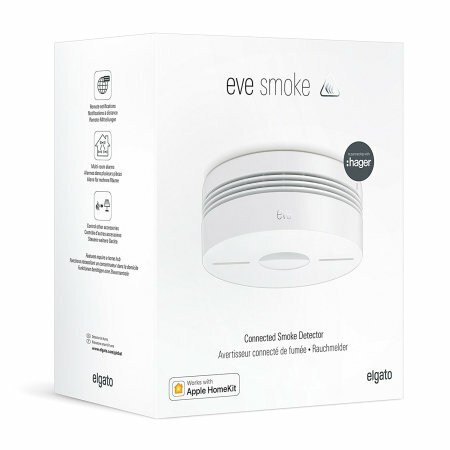 Stay safe and be well aware of fire with the Elgato Eve Smoke. 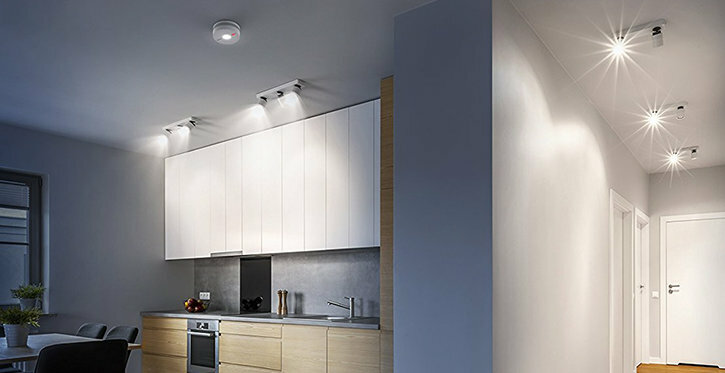 Based on reliable Hager smoke detection technology, this smoke alarm will not only let off a loud tone but also sends you notifications via Apple HomeKit to alert you of any potential fires. 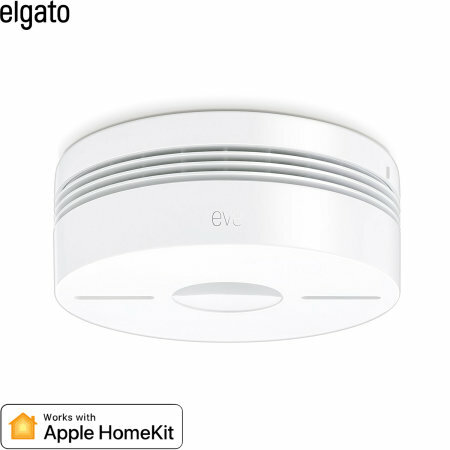 By employing both photoelectric smoke and differential heat sensors, the Elgato Eve Smoke guarantees rapid and accurate detection of fires in your home. 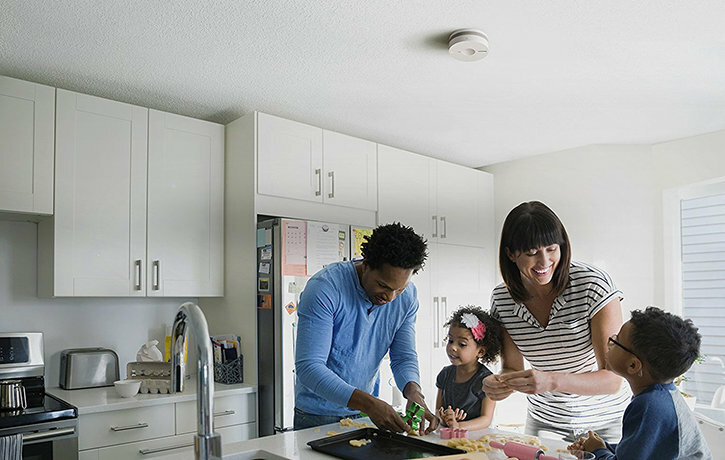 Based on Hager smoke detection technology, this system is fool proof and will keep you and those around you aware of any potential fires with a loud, pulsating tone should a fire be detected. 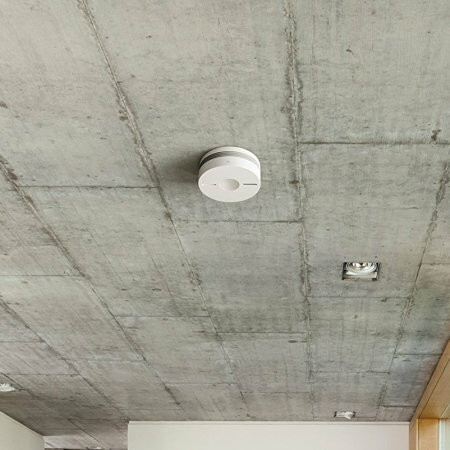 Hager are renowned for their smoke detectors sensitivity and longevity, so you can be completely reassured that your home is safe with the Eve Smoke. With integrated self-testing sensors, the Eve Smoke constantly checks its own health and can smartly alert you to any issues via smartphone notifications. 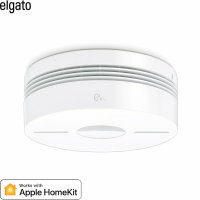 This smart smoke alarm by Elgato also uses energy efficiency Bluetooth Technology, giving the device a whopping 10 year battery life. 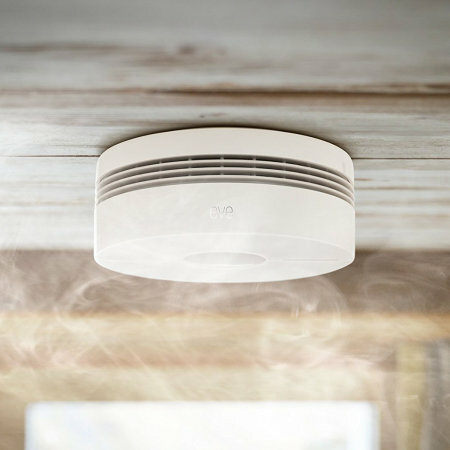 These features both help to ensure that the Eve Smoke is incredibly reliable and is always ready to identify fire, giving the occupants of any household peace of mind. 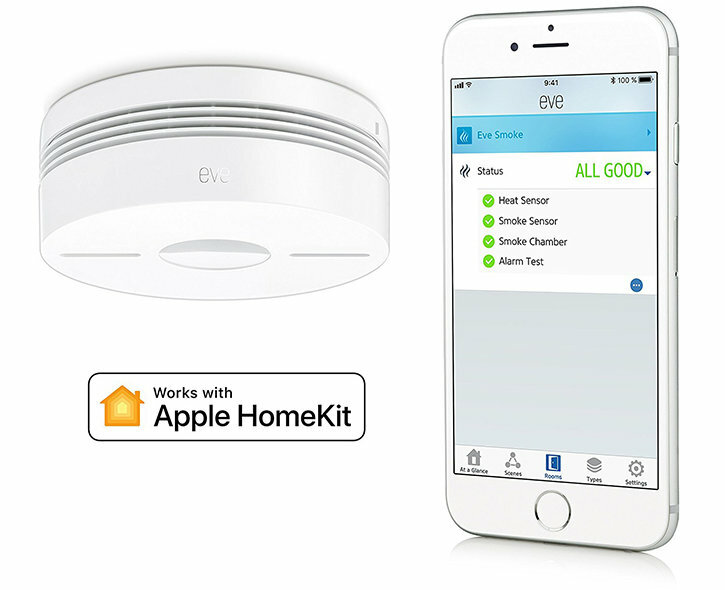 The Eve Smoke has "Works with Apple HomeKit" certification, so you can use all of your Apple devices to change settings, check the smoke alarms state or get notifications about potential health issues or fires both at home or on the move. 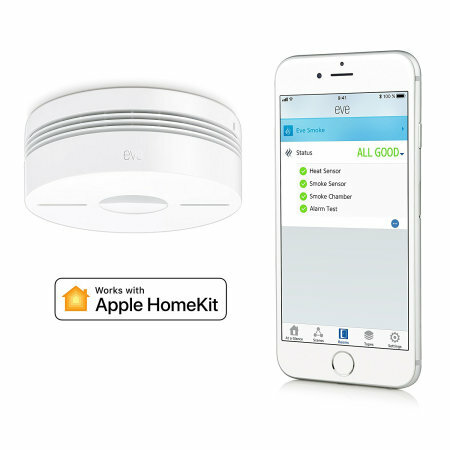 Add the Eve Smoke to your current collection of HomeKit enabled smart home devices to help you to take complete control of your home from one device. 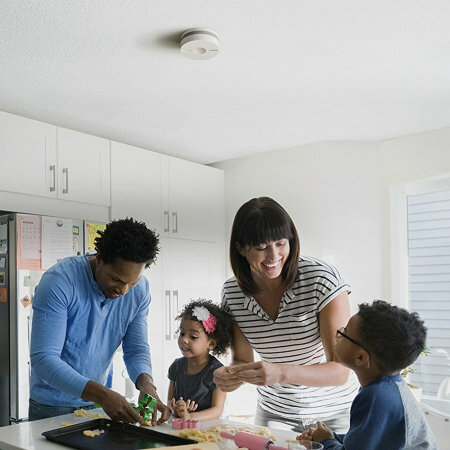 With the purchase of multiple Elgato Eve smoke detectors, you can set up a fully synchronised network of smoke alarms throughout your home, ensuring that all rooms in your property are covered and remain safe. Please Note: The Elgato Eve Smoke requires an iPhone, iPod touch or iPad with iOS 10.3 or later. 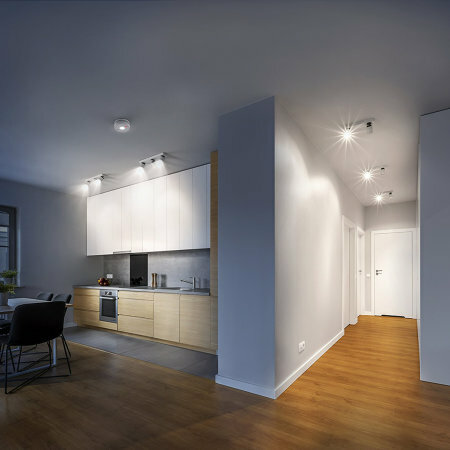 In order to control this HomeKit enabled device automatically or away from home you must have Apple TV with tvOS 10 or later or an iPad with iOS 10 or later set up as a home hub.